Falcon Interactive proudly presents best motorbike drag racing game on market, DSE Racing, which were made by Falcon development team in cooperation with DSE Inc. 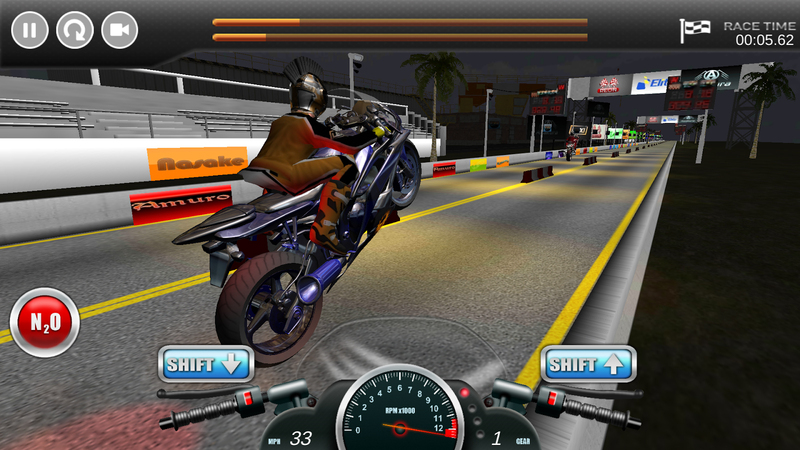 The game is produced over 2 years and includes state of the art physics, vehicles dynamics, real-world conditions and simulation of every detail from real motorbike racings. Falcon team were very detail preparing, analyzing real moto-tracks to achieve such perfect physics and simulations. It’s created and polished to produce state of the art experience to the final users and by the downloads from Stores and user’s comments, it succeeds as well. Their time is yet to come as it’s increasingly getting more and more customers and Falcon making updates, putting more levels and implementing more nice graphics into gameplays. For the need of this game, Falcon’s team create many unique rides which do not exists on the market as well very detail customisations. You can have a taste of a DSE ride at Google Play.